Sony Alpha Imaging Collective member Garrett King (@shortstache) is an adventurous lifestyle and landscape photographer & filmmaker who treks all over the world working on passion projects and commercial assignments alike. 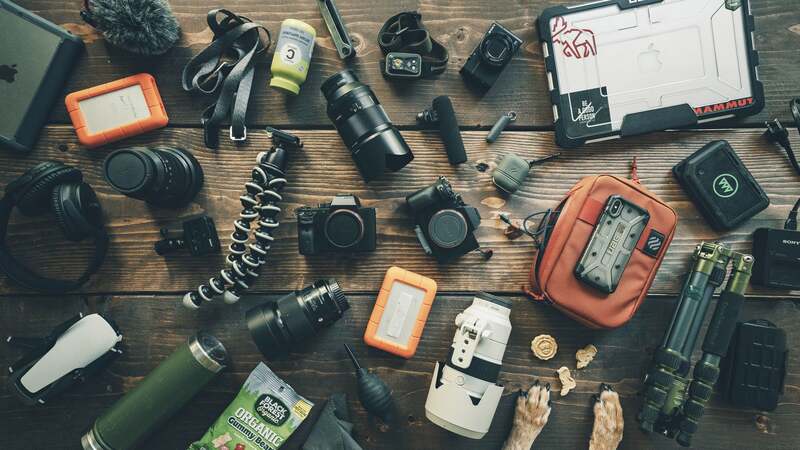 Currently based in Seattle, Washington with his dog, Mella, King keeps on the move with his Sony cameras and lenses in search of the next inspiring vista. We had a chance to catch up with King to find out more about what he carries and why. Sony α7R III: The α7R III is my go-to for both photo and video. The autofocus is so quick and dynamic! Sony α7S II: This camera is used entirely for video. It mostly stays on my Ronin gimbal or on my tripod capturing video footage. The α7S II is such a beast in low light! It’s great for 1080p at 120 fps as well as 4K. I love it. 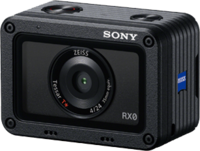 Sony RX100 V: My RX100 is perfect for vlogging when the audio isn't too crazy. It's great at 24mm f/1.8. I'm constantly using this bad boy. Sony RX0: I use this camera for quick shots and a first person view on top of the shoe mount while I'm capturing video footage. It’s fun to use this for action shots as well. It’s so light and durable. Sony FE 16-35mm G Master f/2.8: I use the 16-35mm for both landscapes and lifestyle shots and it’s always used for video. It offers a great focal range when I’m shooting video with my Ronin gimbal. The image is always so sharp and clear. It’s the perfect lens to really open up an environment. Sony Planar T* FE 50mm f/1.4 ZA: I use this lens constantly. It creates the perfect depth of field and it gives with telephoto compression. I love the cinematic feel of the frame that it creates for both portraits and landscapes. I use it for details and portraits at f/1.6 or f/1.8. The 50mm is frequently on my α7R III for handheld stills and video. Sony FE 70-200mm G Master f/2.8: This lens is another beast. It’s so sharp and fast! I love the telephoto compression this lens gives me. It can really bring the scale of a scene to life. Perspective is key. This lens is a must for my shooting. Sigma 20mm f/1.4 and MC-11 Adapter: I use this lens for detailed lifestyle shots that keep a shallow depth of field while also opening the scene up. I also use it for astrophotography. Sony ECM-GZ1M Zoom Microphone: I use this mic on my α7R III for vlogging and close details of sounds. It’s a small mic and perfect for on-the-go filming. Bose Headphones: These help me really dial in music or voice cuts for video. I can drown out noise or have complete silence. These are also clutch for airline travel. DJI Mavic Air: I like being able to travel with a compact drone. The Mavic Air is perfect for travel when I’m packing light. When I can’t bring my Phantom 4 Pro, I pack the Mavic Air. LaCie Rugged Hard Drives: I use the Thunderbolt type drives for faster ingesting of large photo and video files. They're expensive, but worth it to me. One is my active drive, the other is for backup. RODE VideoMic: This is a mic I use both for vlogs and cinematic captures. It works great for picking up on-the-go voiceovers. Peak Design Leash Camera Strap: I use this mainly for stabilizing hand-held footage as I'm panning. Camera straps are great for all kinds of video hacks. Joby Gorillapod: I use this tripod for my RX100 V when I’m vlogging and shooting timelapses. Because of the flexible legs, I can mount it in all sorts of places. Lens Cleaning Cloth And Blower: I always have these on deck for anywhere I go. Clean and clear gear is a must. Matador Earplugs: Perfect for tuning everything out. You never know who’s going to snore or stay up all night. Hydro Flask: This thing is perfect for always having water with me and keeping it hot or cold. Stay hydrated guys! Heimplanet Pouch: I use this bag to keep all of my cords and chargers organized when I travel. iPad Mini: It’s always good to have the iPad Mini around. I use it for all kinds of things like writing, drawing up ideas, Netflix, and flying my drone. iPhone X: It's either in my bag tucked away from the rain or out capturing behind the scenes. Apple Airpods: These headphones are perfect for traveling and talking on the phone handsfree. MacBook Pro: A laptop is essential for me when I’m traveling. Having a computer to rely on that I can process my work as fast as possible is critical. Gnarbox: I use this for backing up footage on the go in case of an emergency. Perfect for that. Travel Tripod: I either use my Mefoto or my Manfrotto depending on how much space I have and what the project is. Memory Card Hard Case: It's important to have these cases for my memory cards. These are great for organizing and protecting them. Sony Battery Charger: I keep this bad boy on me for charging up on-the-go. Gummy Bears: These are always essential when I pack up my bag. Organic Black Forest is the only way to go. Trust me. Vitamin C: it’s important to have vitamins with you on the go and I can never get enough vitamin C. Staying healthy when traveling by air and jetlag are always important and this helps me stay on top of things. Dog Treats: These treats are always with me for my dog Mella. She's always with me and roaming around. These keep her happy. Garrett King is a member of the Sony Alpha Imaging Collective. Follow all of their adventures on Instagram https://www.instagram.com/shortstache/.